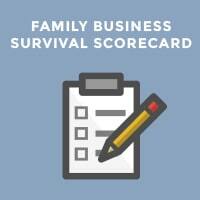 It can be incredibly difficult to be an in-law in a family business. I know first-hand because I watched as my wife scratched her head and pulled her hair out early in our family business time together. At the root of in-law dissatisfaction is a lack of education and understanding on both sides. From the family’s perspective, many times they feel like the in-law should be happy as hell to be a part of the clan and shut up and enjoy the ride. That’s not a super healthy perspective for the family business leaders to take. From the in-laws perspective, they feel like the business should get its act together and be more professional. They should do a better job of holding people accountable and communicating with the entire family. That perspective might actually be helpful but gets lost in translation when the in-law speaks too soon, or with the wrong tone, or in the wrong venue to the family audience. Being a part of a family business family is a unique dynamic and challenging proposition as many of us know. Take a little time to help orient the in-law to family business fundamentals and family business dynamics. Perhaps point them to some good family business articles to help them get the lay of the land. 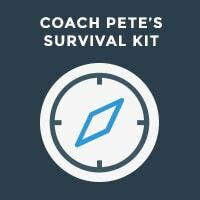 We have some articles just like that as part of our Family Business Survival System. The most successful family business families have regular family meetings as a venue for communication and collaboration around the family business. Without these communication venues, communication can get disjointed and dysfunctional pretty quickly. The family meetings provide a venue for the family leaders to model good communication. I continually say learning to communicate together and work together is a lot like a musical group learning to develop harmony and consistency. Successful music groups don’t just show up occasionally and think that they’re going to play good music. They understand the value of getting together on a regular basis and giving themselves time and space to learn to play together. Some in-laws smoothly acclimate quite quickly. Others are outspoken and energetic and too often become a lightning rod that gets thrown out of the room. Ironically some of those outspoken and energetic in-laws can provide invaluable talent inside in the room if properly channeled and developed. Many times some individual one-on-one mentoring can help accelerate that development process. Human nature is such that most people avoid pain and painful situations. When an in-law has a bad experience many times the family avoids the situation or the in-law becomes alienated. Rather than allow that to occur, strong family leaders provide training and opportunities for people to iron out their differences and learn how to become a team. Some of the strongest teams are forged through challenges and adversity. Don’t give up too soon. In-law drama is one of our key family business landmines. 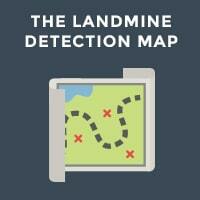 It can be found here in our Landmine Detection Map. Good luck!